For many veterans, entrepreneurship has proven to be a viable next career path as the experience, discipline, and work ethic learned in the military provides a competitive edge for starting a business. The Veterans Florida Entrepreneurship Program is currently accepting applications for the pilot program, which will launch its first phase in March. The statewide initiative offers qualified veterans the opportunity to receive an accelerated entrepreneurship education at no cost. Veterans Florida, a non-profit created by the Florida Legislature to attract and retain veterans, selected the University of West Florida, through its Florida SBDC Network and Military Veterans Resource Center, to administer the program. 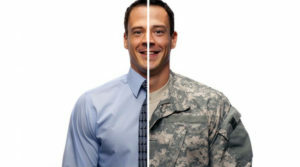 In order to meet the program requirements, veterans must have been either honorably discharged, current National Guardsmen or Reservists, or active duty within one year of separation. Also required is Florida residency, and of course, a strong interest in entrepreneurship. The first phase of the program consists of an eight-week online class,which will provide participants with a strong business foundation. The next phase consists of six days (over three consecutive weekends) of on-site training at one of the five participating institutions of higher education: The University of West Florida, University of North Florida, Florida Gulf Coast University, Florida Atlantic University, and Hillsborough Community College. All travel expenses will be covered for participants. The final phase of the program consists of six-months of ongoing mentorship with Florida SBDC Network business consultants. The Veterans Florida Entrepreneurship Program is funded through a $1 million appropriation by the Florida Legislature. Space is limited. The deadline to apply is March 15, 2016. For more information, and to apply, please visit www.FloridaVetBiz.org.